Being a country of cultural and natural contrasts, there is no way that Bolivia’s specific sites won’t be included in the UNESCO World Heritage List. Due to exceptional natural wonders and crucial historical events, occurred in this country, six places were defined, which alert an attention of international society. City of Potosi was founded in 1546 as a large industrial settlement occupied with silver ore mining. While searching for golden Eldorado, Spanish colonialists surprisingly found The Silver City of Potosi near the mountain Cerro Rico. Nowadays it is hard to believe that this town once had a glory of the global scope. From being the most prosperous city in South America it turned to comparatively dull settlement, which currently is more an object of tourist destination than an industrial center. Besides historic mines, this site also includes Casa de la Moneda, a related mint established in 1773, which nowadays is a museum, where various coins are stored; the religious place of St. Lorenzo Cathedral built in 1548 as an example of stone decorated in Baroque style; a mix of local aristocratic houses and barrios mitayos – the residential area of workers. The archeological area of Fuerte de Samaipata is a remembrance of pre-Spanish traditions and beliefs, which currently is located in Santa Cruz province. This site includes a mountain with petroglyphic drawings, which are believed to be cultural remains of ancient city functioning in the area in 14-16th centuries. This settlement is likely to be constructed by Chanes people, pre-Indians. That is why this site is considered to be a mix of three different cultures, distributed near the modern city of Samaipata: Indian, Spanish and Chanes. The second part of the attraction includes the administrative and inhabited area south to the mountain. The Historic City of Sucre has achieved its recognition as a set of architect traditions provided by Spaniards in correspondence to local history. 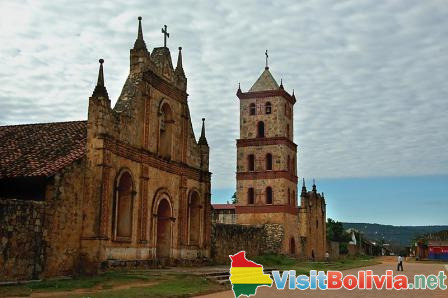 Especially, their influence might be observed while sightseeing the oldest churches in Bolivia’s capital: San Lorenzo Church of 1538, San Francisco Church of 1581, Santo Domingo Church and the Metropolian Cathedral, the construction of which has taken nearly 250 years since 1559. Jesuit Missions of the Chiquitos comprise the architect and religious heritage of these Indians, which were turned to Christianity by Jesuits. Willing to distribute their philosophical believes in the area, they established six main settlements, called missions, which were supplemented with Jesuit churches. Among them are San Javier (1691) for Pinocas Indians, which changed its place due to Spaniards expansion; San Rafael de Velasco (1695), which also moved its place due to epidemics and fires; San Jose de Chicuitos (1698), Conception (1699) for Chiquitano Indians, San Miguel de Velasco (1721) as the continuance of San Rafael Mission as the number of inhabitants there grew very rapidly, Santa Ana de Velasco (1755) for Covarecas and Curuminacas Indians. Tiwanaku City was a powerful politic and cultural center of local inhabitants, which dates back to 1500 BC with the peak of its development in 500-900 AD. It is believed that this settlement was a capital of ancient country of Puquina, which nowadays would remain on the territory of Bolivia, Peru, Chile and Argentina. It was initially built as the port on Titicaca Lake, but it has developed into the most prosperous city of Incas culture, architectural achievements of which attract more and more travelers. Tiwanaku City can boast of its own museum which is among top 10 interesting places. 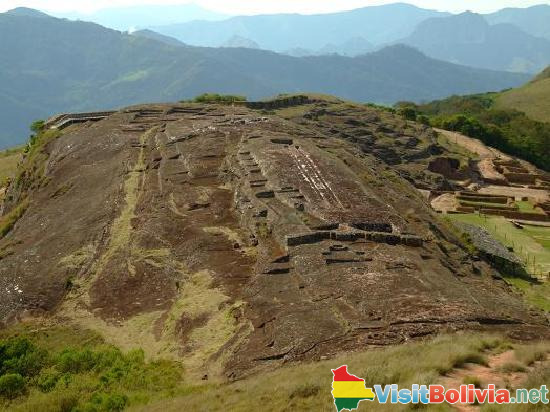 It is also interesting to know that there are some places in Bolivia, which applied to the UNESCO Heritage List. Among possible tourist destinations of global scope such places should be named: Sajama National Park, Titicaca Lake, Cal Orko dinosaur’s spot, Incas Incallajta, Pulacayo settlement, Sistema Vial Andino/Qhapaq Ñan.